Two-legged house-mates should also take note because cats—a.k.a. Felis catus—can transmit some of those diseases to humans, the authors said. This held true regardless of how they were transmitted—whether from soil, other cats, or prey such as mice and birds. Other domesticated animals transmit disease to their caretakers—dogs, for examples, spread rabies, and cattle carry Cryptosporidium parvum, a parasitic disease that attacks the intestinal tract. No. A 100% increase merely doubles the unstated likelihood. Epidemiology is difficult wether human or veterinary. But are the cats happy being confined? 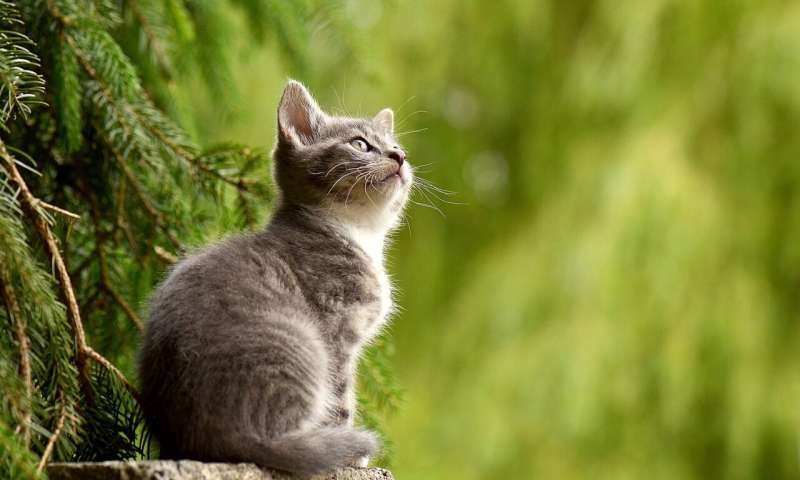 Cats accustomed to going outdoors will be miserable if subsequently confined and their destructive behaviors will make their owners miserable, too. Vaccinate for the pathogens and let them take their chances. And, in other news. Cat lovers discover, that locking them indoors, make them want to eat your face. @Doug_nightmare: I'm not an epidemiologist, but I'm pretty good at math. A 100% chance of getting infected is pretty self explanatory, and doesn't double anything (other than a 50% chance, that is). If you get a 100% salary raise, that doubles your chance of being very happy, but if you have a 100% chance of getting fired, you're toast. It depends on the amount of love, affection, attention, good food and clean water they are given daily. Also they need a way to exercise safely and a chance to explore until their curiosity is satisfied and they are tired out. A nice comfortable bed and clean litter box are also important. Cats seem to enjoy going inside a clean paper bag and looking out at their indoor world. If you gently poke the top of the bag, the cat will react to that challenge also. Long, sharp nails need to be gently and carefully cut with special nail-clippers made for cats. If not done by a professional, it's important to not cut into the colored portion of each nail. And have a bottle of blood clotting powder for cats on hand just in case you cut into the "quick" and causes him/her to bleed. Make sure that he or she gets all her vaccinations for rabies, etc. My cats are well adjusted and happy and fear the outdoors, including the one I took off the street. He would not willingly go back. I make sure to let them look (and more importantly smell) out through open screened windows when the weather is clement, and even sometimes when it's not. They get plenty of enrichment and enjoy it. Come on. We all know the truth. This story was concocted by dogs so that they wouldn't have to deal with their pesky feline rivals. So that means, at a 4% increase for each degree of latitude, that cats at latitudes 25° and over are doomed the moment they stick their noses out the door. It does not mean that at all, obviously. First, the abstract says "absolute latitude trended towards significance such that each degree increase in absolute latitude increased infection likelihood by 4%." That means it is a relative comparison between the two groups with increased likelihood of getting infected of 1.04 at a degree higher latitude.